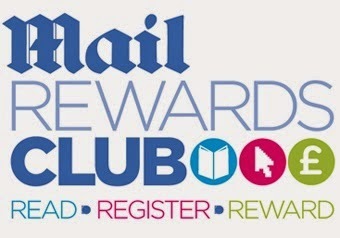 Mail Rewards Login: The Mail wants to reward its loyal readers and as such have started a Rewards program named the Daily Mail Rewards Club. Where are Daily mail rewards unique numbers and how to enter these numbers? The reader has to simply collect the Unique Number cards from the Saturday Daily Mail and the Mail on Sundays and every reader can get their rewards as a member of the Mail Reward Club on the accumulation of the numbers. Here we get a guide for how to create an online account for member deals. To become a member, you need to set up an account and it is a very simple process. Once you have joined the Mail Reward Club, you come to know about the days you need to collect the Unique Numbers through your account information. You have to enter the unique numbers to the account. Daily mail rewards club enter unique numbers login is very easy with the step by step help guide. There are rewards according to the unique numbers you have collected within each collection period such as, if you collect 7 out of the 8 Numbers, you get the Gold Reward; Silver Reward for 5 out of 8 etc. The rewards include coupons for famous stores, such as John Lewis and Tesco, free movie tickets, meals, DVDs and many more. The Mail is a popular daily tabloid newspaper in the UK. It was started in 1896 and has become the second biggest selling newspaper now.The Daily Mail focuses mainly on readers among the lower-middle class with mass education. How To Set Up A Mail Rewards Club Account To Collect Rewards? You have to find some Unique Numbers in the Saturday Daily Mail and the Mail on Sunday. Go through the Weekend Magazine on Saturdays and Live Magazine on Sundays and collect the Unique Number cards. Visit the website of Mail Rewards Club at www.mailonline.co.uk/rewards and then click on the “Join” button displayed in the right-hand column. Provide personal information such as your name, date of birth, email address in the specified box and then select an appropriate password. You also have to select how often you read the Daily Mail. On completion, click on the “Submit” button. On successful submission, your account has been set up. Then you can log in and enter the Unique Number card you have collected before every following Wednesday. You also check your account information to see which days you need to collect.